Congratulations go out to Jenny Shin for winning the Volunteers of America Texas Shootout. Jenny shot a final round 4 under par 67, and came out on top by 2 strokes over a trio of players. It was the first victory on the LPGA tour for Shin. Kris Tamulis holds up the winning trophy after her shocking victory. 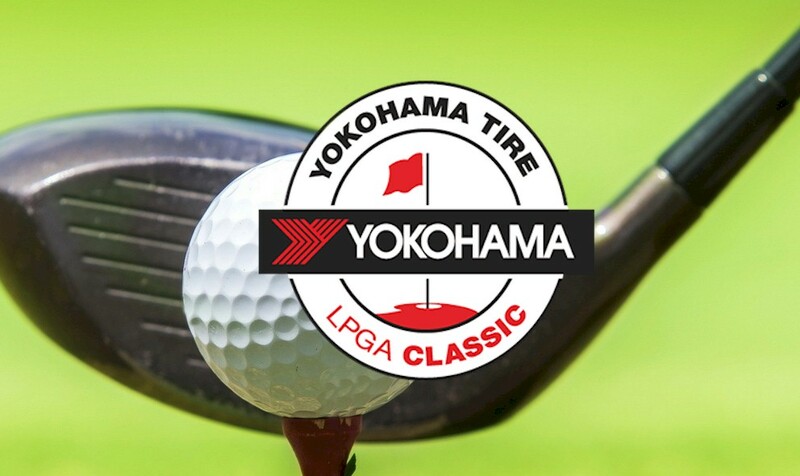 This will be tournament #12 of 33 on this year's LPGA schedule. My strength of field rating is 55%. Although it is the second weakest field of the year, it is up considerably from last year when it had a rating of just 37%. Twenty -nine of the top 50 players from the LPGA Priority List, and 23 of the top 50 players from this week's Rolex Rankings will be teeing it up. This week's field will include the #4 and #5 players in the world, Stacy Lewis and Brooke Henderson. Not in attendance this week include the following players: Lydia Ko, Inbee Park, Sei Young Kim, Lexi Thompson, In Gee Chun, Shanshan Feng, Suzann Pettersen, Ha Na Jang, Na Yeon Choi, Cristie Kerr, and this past week's winner, Jenny Shin. My alternates this week are Carlotta Ciganda, Cristie Kerr, and Anna Nordqvist. My spot on picking last week was good for a top 3 finish. I am currently in 2nd place for the year among the 19 participants. Both Minjee Lee and Lexi Thompson saw their cut streaks come to an end this week at 22 straight. Gerina Piller makes the most important move this week, jumping from #20 to #17. She is now just 2 spots away from making the Olympic team. Jenny Shin rises from # 38 to #24, and M. J. Hur leaps from #71 to #53. Lydia Ko continues to lead with 2,119 points. She is followed by Ha Na Jang with 1,449, Haru Nomura with 1,442, Sei Young Kim with 1,254, and Brooke Henderson with 1,078. Cristie Kerr remains in the #16 position in the Rolex Rankings, she will have to move up one more spot to qualify. As mentioned above, Gerina Piller moves up to #17, just 2 spots short of qualifying for the team. Even more intriguing is the jockeying going on among the South Korean players. Amy Yang jumps past Ha Na Jang this week, knocking Ha Na out of both the Olympic and International Crown teams. Amy joins Inbee Park, Sei Young Kim, and In Gee Chun as players who would be on both those teams as of today. It would appear that the slipping So Yeon Ryu would need a quick victory to get back into those races. Gerina Piller who has still not gotten that first LPGA win, has finished 6th, 6th, 3rd, and 2nd in her last 4 tournaments. She has also not finished worse than 13th in her last 6. Julieta Granada has missed the cut in 6 of her 11 starts this year, with a best finish of 38th place. Sun Young Yoo has missed the cut in her last 3 starts. Brooke M's top 10 streak ended but is primed this week to move into the Rolex #4 slot. The T19 enabled her to gain points on Lewis and is now only .01 behind. Also best wishes to Stephanie Meadow do well this week and take a step towards the form she displayed at the 2014 USWO. The field strength is poor and it says a lot when past winner and American Lexi Thompson prefers to go to Japan and play in the World Ladies Championship Salonpas Cup this week despite all the points to be possibly gained here. Maybe this is where her game is at at the moment..